Photos free for use for the media in connection with the NRC press release on the ongoing drought in Badghis, north Afghanistan. 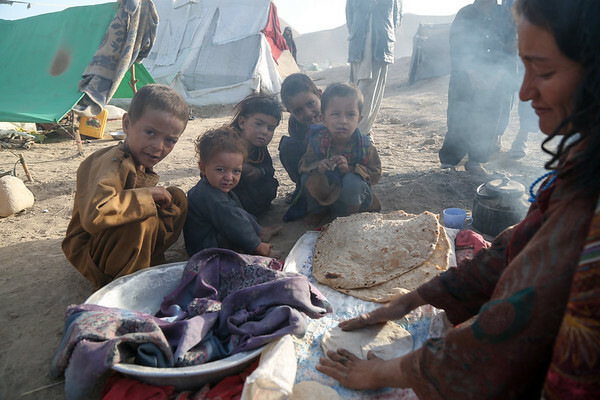 Nazoo, 36, and her five children have been forced to flee from Qadis district to seek survival in provincial city of Qala-e-naw. Nazoo’s husband has gone to Iran for work and she alone takes care of her children. “You can see, there is no shop here to buy some vegetables or rice, even if there was some, we wouldn’t be able to buy because we are running out of money," she ended.